Dubai, UAE - The Arabian Hotel Investment Conference (AHIC) 2019 has unveiled its programme for the 15thedition of the forum, which will bring more than 900 hotel investors, owners and operators together at the AHIC Village in Ras Al Khaimah. Dubai, UAE - The Arabian Hotel Investment Conference () 2019 has unveiled its programme for the 15edition of the forum, which will bring more than 900 hotel investors, owners and operators together at the AHIC Village in Ras Al Khaimah. The programme, featuring more than 100 speakers from around the world, has been curated around this year's theme , which aims to address the current tensions in the owner-operator relationship, uncover innovative approaches to business, analyse market trends, foster harmonious relationships between all stakeholders and help them future-proof against evolving demands. 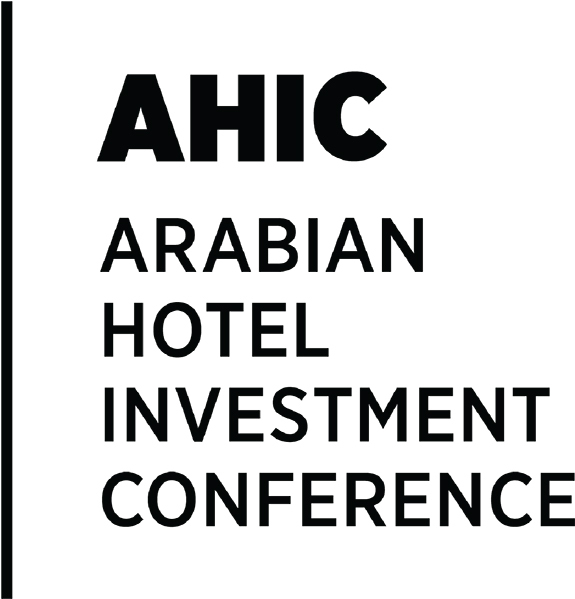 Jonathan Worsley, Chairman of Bench Events and Founder of AHIC, said: "This year's programme has been painstakingly developed in consultation with hotel owners, investors, operators and consultants from across the region. Time and again, they have told us that amid challenges of new supply, more needs to be done to educate the market and synchronise the efforts of all stakeholders. "AHIC will once again provide a forum for owners and operators to gather and discuss the issues at the heart of their business. A 'day of disruption' will bring invaluable learnings from outside of the industry, with sessions led by Google, the Foundation for Art and Blockchain and The Coca-Cola Company, while plenary sessions include exclusive data analysis on future market demand from the likes of HVS, STR, Colliers and Drees & Sommer. "The agenda is designed around our theme 'Synchronised for Success' with content streams targeted specifically for hotel developers, owners, and investors, such as 'Products of the Future - Synching your investment with future market demand'.We'll also have owner-operator panel sessions, the AHIC Finance Forum, our Development Den, leadership talks, innovation pitches and case studies, as well as design and F&B workshops. Through these sessions, we expect to spark relevant debate, which will no doubt be continued off stage with more networking opportunities than ever," said Worsley. Programme highlights include the Official Opening by Conference Host and Patron His Highness Sheikh Saud Bin Saqr Al Qasimi, UAE Supreme Council Member and Ruler of Ras Al Khaimah, a keynote AHIC Talk by Sébastien Bazin, Chairman & Chief Executive Officer, AccorHotels, who will address the topic 'What is Your Compass in Times of Disruption, Innovation and Global Turmoil? ; and Jay Rosen, Head of Investment & Finance at The Red Sea Development Company, who will be speaking on 'Sustainable Investment Tourism Development for the Future'. Rosen said: "The development of large scale integrated destinations containing multiple hotel and residential properties creates new challenges for developers, owners and operators seeking to provide seamless experiences to visitors." He added: "Close coordination and synchronisation among the destination and its various hotel operators is essential from the earliest stages of the project to ensure not only that the destination's value offer is reflected at every touchpoint but also to enable visitors to move smoothly and seamlessly between its constituent properties. This kind of collaborative framework, while challenging to establish, can yield significant benefits to the operators and the destination as a whole." Mega Projects in Saudi Arabia such as the Red Sea destination, expected to add $5.86 billion to the Kingdom's GDP, will form a focus at AHIC 2019, following on from the success of the Saudi Hotel Investment Forum (SHIC) held last month. A dedicated plenary session entitled 'Uncovering The Kingdom' will take a deep dive into the KSA market, discussing opportunities for international investors, government support for the industry and how the market is dealing with the increase in supply. Worsley said: "SHIC provided fantastic insight into the wealth of opporutnities in the Kingdom and we're excited to continue the conversation at AHIC, with the support of Al Hokair, Amaala , Dur Hospitality, Taiba Holding and The Red Sea Development Company." Ahead of the event, Dr Badr Al Badr, CEO, Dur Hospitality, commented: "In Saudi Arabia, all key stakeholders in the hotel investment industry are benefitting from Vision 2030, with the wheels for socio-economic transformation already in motion. This blueprint for economic diversification earmarks tourism as a growth sector crucial to the Kingdom's long-term success, regardless of short-term challenges, and savvy hospitality companies are aligning their development strategies to this vision". He continued: "The foundations have already been laid for sustainable growth, with public and private investment ploughed into tourism-related infrastructure and giga projects such as NEOM and the Red Sea development. At the same time the Kingdom has made great strides in developing its entertainment industry for the first time, which coupled with new e-visa initiatives, have signalled to the world that Saudi Arabia is open to international visitors. "The time is right for hotel investors and operators to embrace this evolution and work together to capitalise on the opportunities it presents to bring new and exciting hospitality concepts to a market in its relative infancy," concluded Al Badr, highlighting the AHIC theme . Haitham Mattar, CEO of Ras Al Khaimah Tourism Development Authority said: "We are delighted to be hosting AHIC 2019 in Ras Al Khaimah, bringing together world-class speakers and key players from the hospitality sector to share their knowledge and insights. This year's theme is quite fitting for Ras Al Khaimah, as it reflects our ongoing efforts to work hand in hand with our stakeholders in the hospitality and tourism sector to accelerate the Emirate's progress, increase its appeal, and attract local and foreign investment in an environment that sustains long-term growth as we aim to attract close to 1.5 million visitors by 2021 and a total of 3 million visitors by 2025".